installing the tool is simple. After the download finishes. 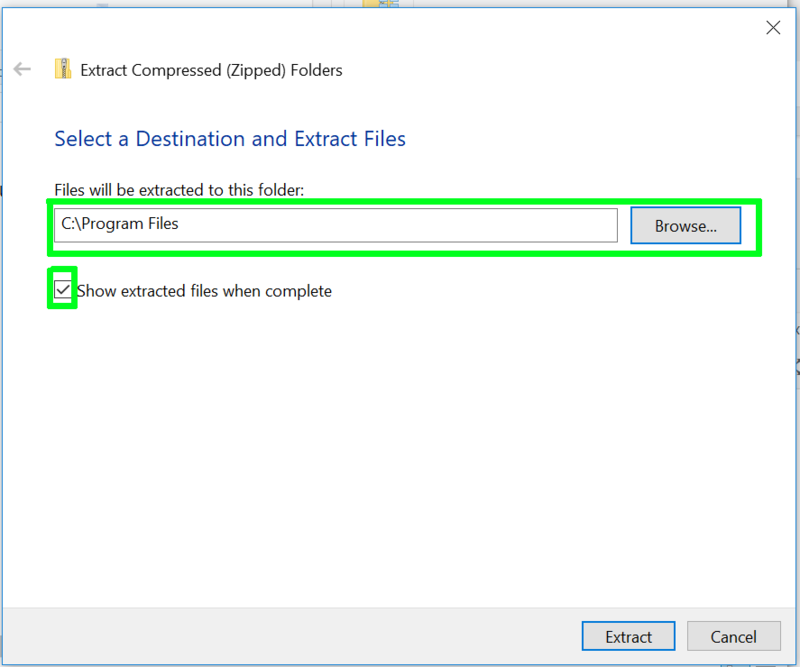 Open the newly downloaded zip file and use the “EXTRACT ALL” button pictured below. a dialog will appear that allows you to choose your preferred location where the extracted folder will end up. In this example we have chosen “C:\Program Files”, but your preferred location may differ. After the file is finished being extracted, a new window will open displaying the contents of “alignPicsGui”. find the .exe file named “alignPicsGui.exe” pictured below. 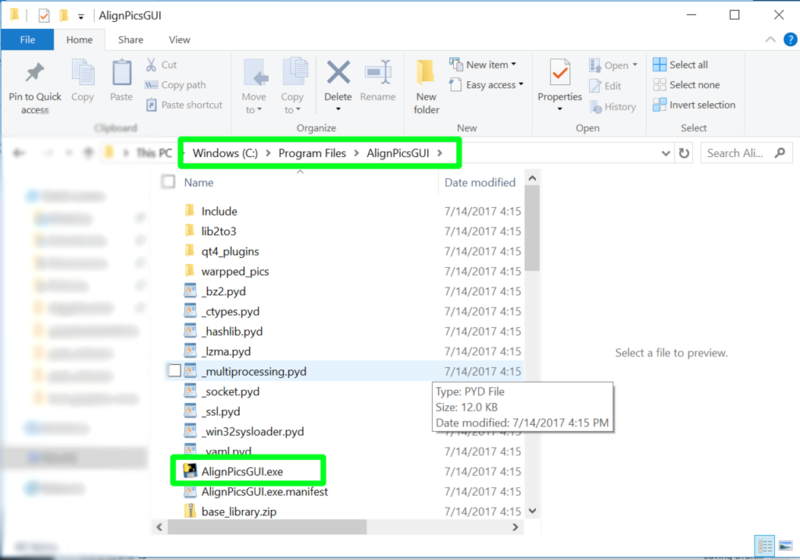 You can run the program by double clicking the .exe but you may want to create a desktop shortcut to make accessing the program easier. To do that, right click alignPicsGUI.exe , and select CREATE SHORTCUT. you should now have a shortcut on your desktop that you can use to launch the program whenever you need it. Nice job on the tutorial. Thank you Mike.